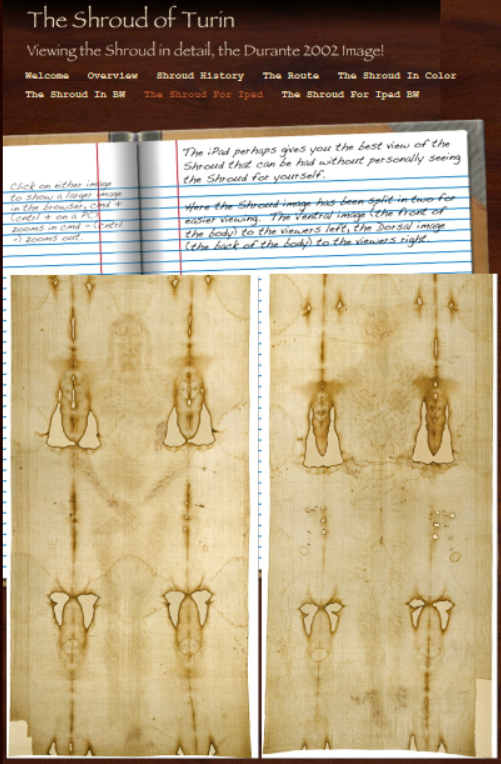 Mario Latendresse’s Shroud Scope is still my favorite Go-To site for exploring shroud images (The Enrie and Durante 2002 images). But I must also praise the facility offered by the Diocese of Turin of the Haltadefinizione images on the web. It is another Go-To site. 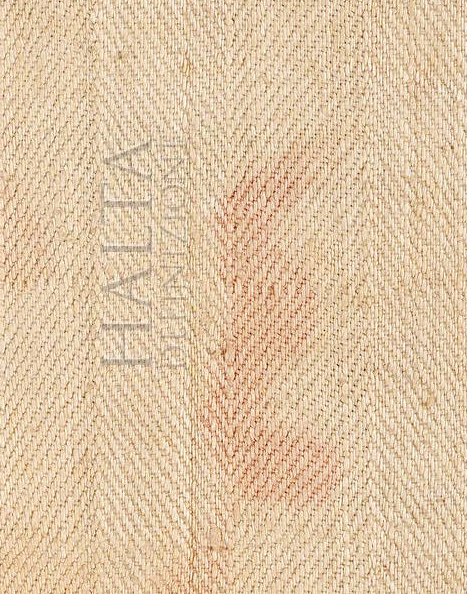 Although based on the Haltadefinizione scans, it does not have the high definition quality of the iPad app, Shroud 2.0. But that is not what this web-based tool is for. 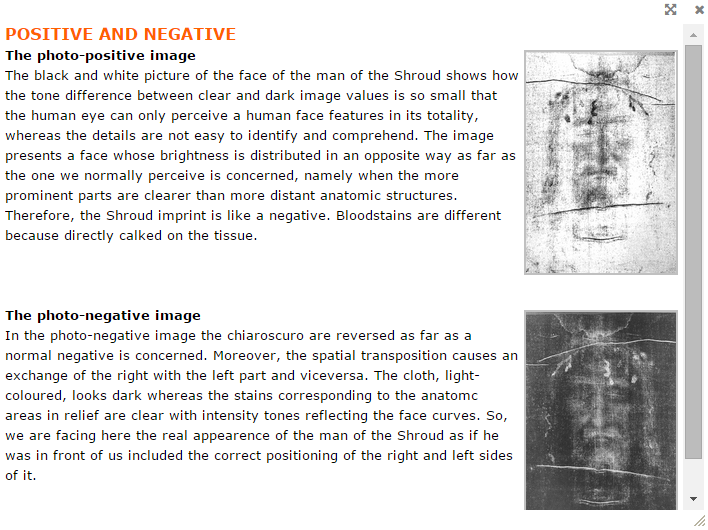 It’s a simple, easy way for the public at large to explore the shroud’s image online. As a Go-To spot for the general public, it may be the best. As with Mario’s facility, you can move the image about – left and right, and up and down – by holding down the left mouse button and dragging the image about. Movement is smooth. Also, as with Mario’s tool, you can zoom up and down with a mouse scroll wheel or with clickable buttons. Zoom sizes stated as percentages are simply relative values and have nothing to do with real size measurements. To rotate the image 90 degrees simply click on the rotation buttons. The tool does not offer rectangle drawing for copying parts of images but that is unnecessary with simple tools that are now part of every standard operating systems (I used Window’s notebook for the above extracts). Resolution looks good but the file is still very limited in terms of size (it need not be). If you want really high definition you will need to use Shroud 2.0 from which the following image of the epsilon bloodstain was taken in my iPhone. Yes, my iPhone! And then I doubled it just for the fun of it. It is even bigger and better on an iPad. The app and image stream is available from iTunes. The app is free and the data is $3.99. It is a significant update. I think the best way to take it all in is to go directly to Late Breaking Website News! Updated June 7, 2014 and start reading and scrolling. You might want to read the page straight through until you get to the last entry. It has a big red question mark and is about the next update. Or you can click on the table of contents menu. What a great update! Plenty here to fill up a rainy weekend, and then some. I’ll comment and invite your comments on some of the update items in the next few days as I get around to blogging about them. 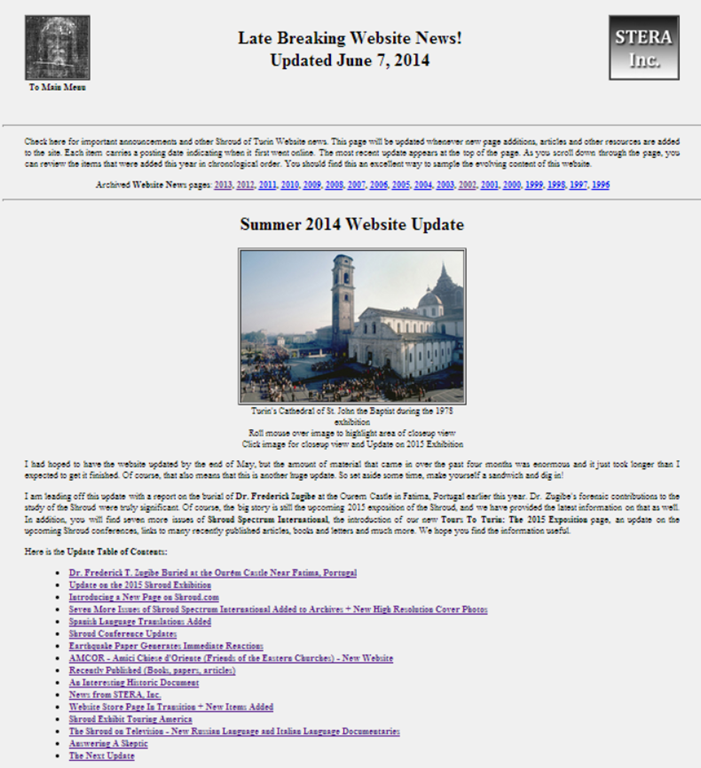 This update includes seven more issues of Shroud Spectrum International, updates on the 2015 Shroud Exposition and upcoming Shroud Conferences, a new Tours to Turin 2015 page with listings of professional travel companies offering Shroud tours, links to many Recently Published papers and articles and some interesting surprises! We hope you enjoy the new information and find it useful. And don’t forget to visit our Private Subscribers Page for exclusive offers not available to the general public. You can also visit our Facebook page, which we try to update weekly. Note: The link to Private Subscribers Page was changed to the sign up page link. The actual link is a perk for subscribers. So sign up. BTW: Those Shroud Spectrum International articles are the result of a lot of work by Stephen Jones. 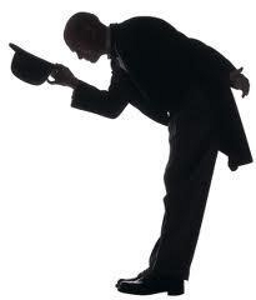 He gets a big hat tip for all his work. 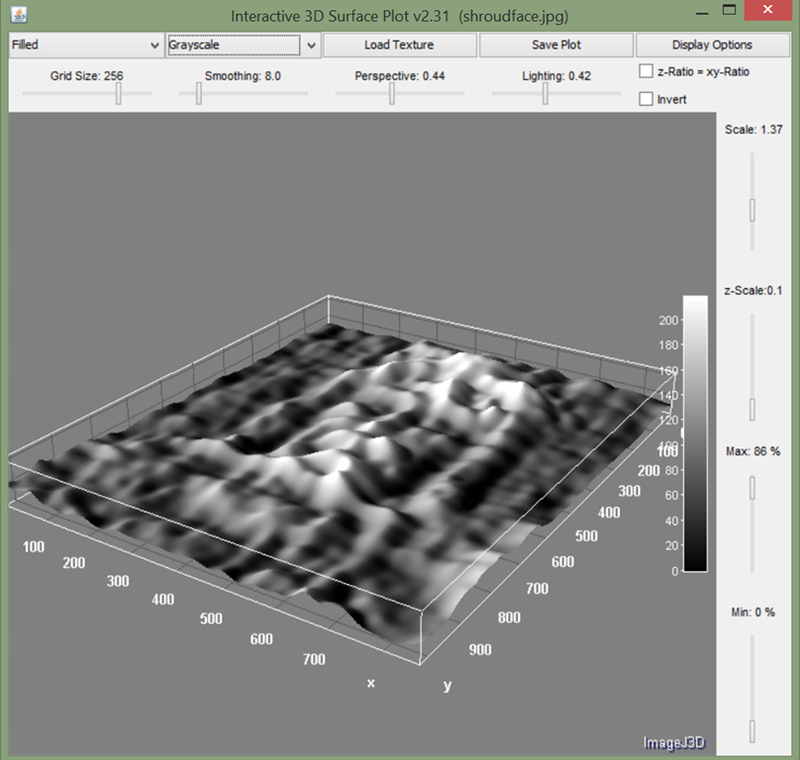 ImageJ, your own VP-8-like image analyzer, is now easier to install and use except that you are going to have to get used to calling it Fiji. 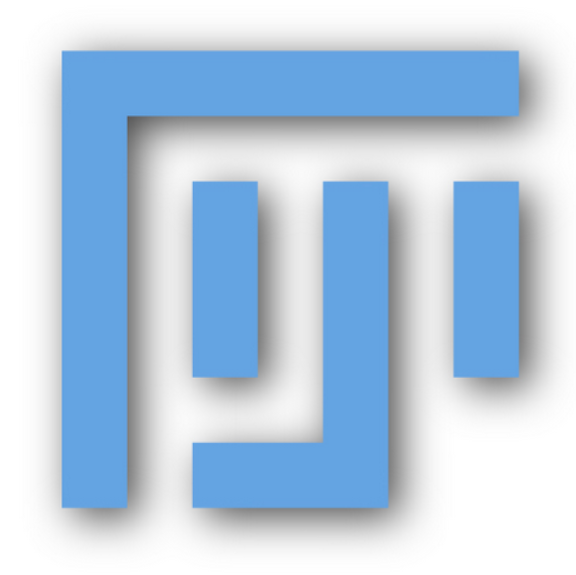 Fiji nonsensically stands for Fiji is Just ImageJ. Fiji is a packaging improvement. It is easier to install – just download a zip file, unzip it, and start it. And useful plugins are built right in. ImageJ, is written in Java, which means you can run it on just about anything. This very powerful but easy to use graphics program was developed at the National Institutes of Health (NIH) in Bethesda, Maryland and is in the public domain. Downloadable distributions are available for Microsoft Windows, Mac OS X and Linux. I downloaded the latest version from http://fiji.sc/Fiji, unzipped it, and had it up and running in less than ten minutes. 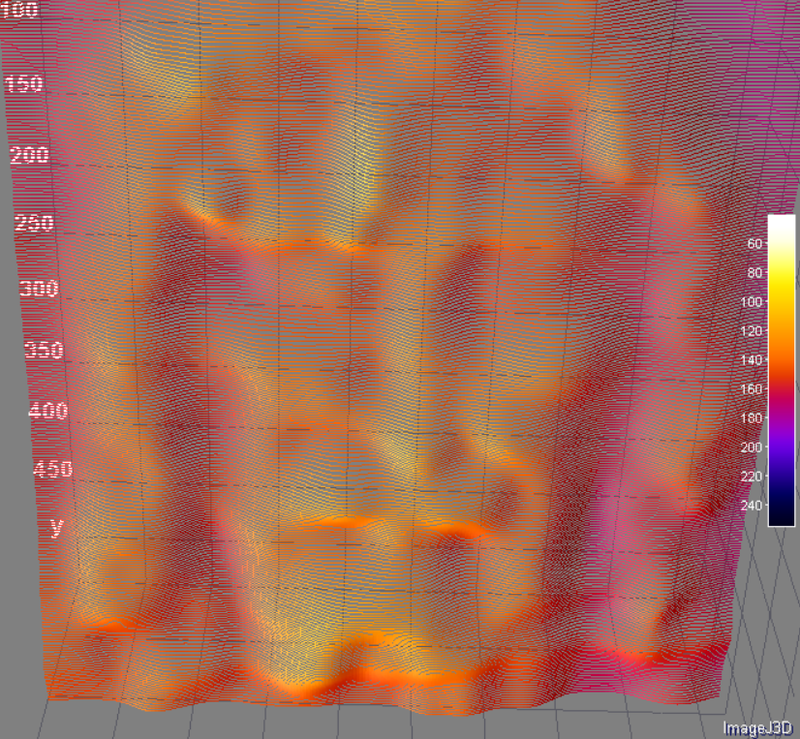 1) I launched the program using the provided program, 2) clicked on open a file, 3) selected an image of the face from the Shroud that I had saved to my computer, 4) clicked on Analyze > 3D Surface Plot and 5) tweaked some settings (see the image below – smoothing is essential). 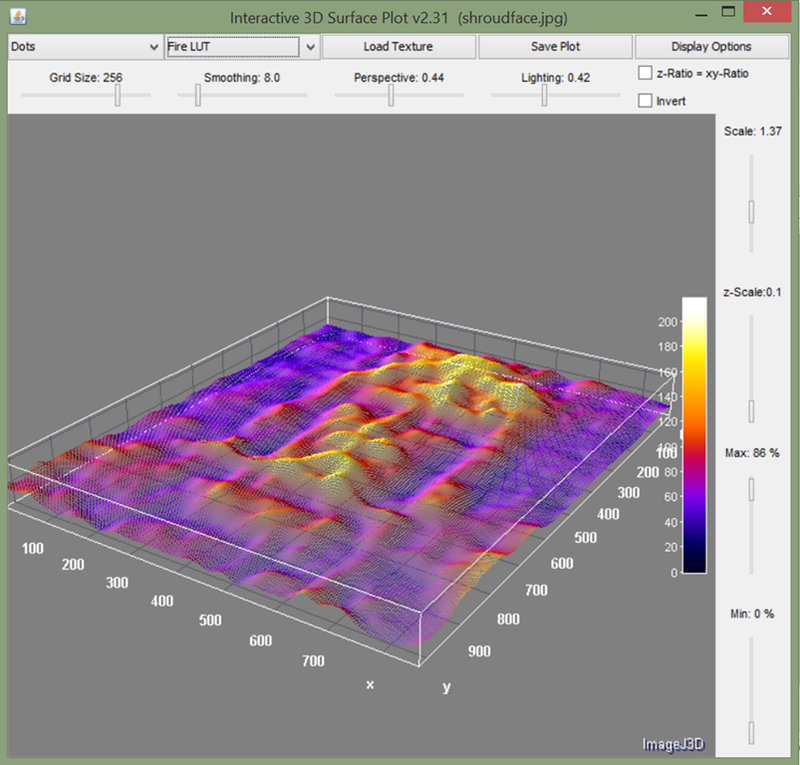 It is highly interactive and re-plots 3D views almost instantaneously when you change a setting. You can drag the image right, left, up and down to change the viewing angle. It works with many image formats and, to my amazement, worked well with color and b&w images as large as 3072 by 2304 pixels and as small as 150 by 112.